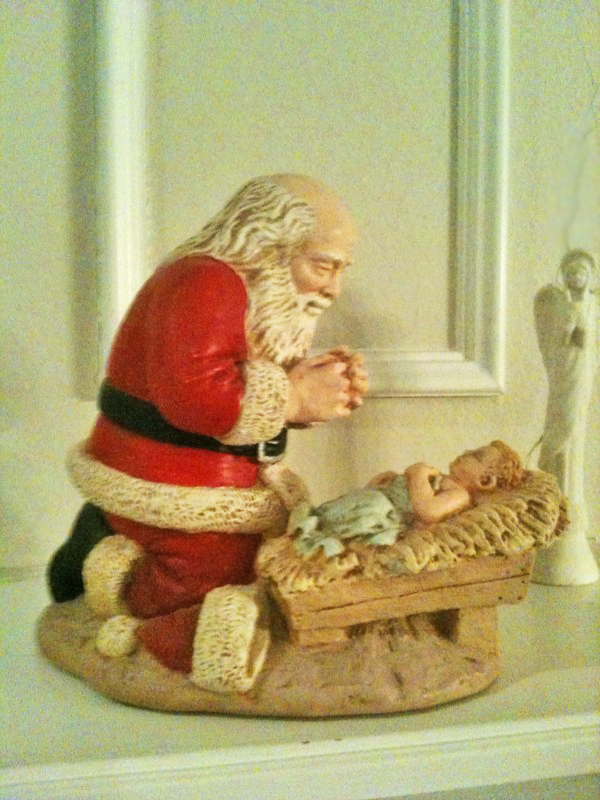 Mom had a true heart for God, so this little statue that shows Santa kneeling to Jesus was perfect for her. When I grew up, I decided I wanted one of my own. Of course, I’d embellished it in my mind. I “remembered” a bag of toys discarded near St. Nick when he dropped to his knees in humble ecstasy over finding the Christ Child. Check it out–not there. LOL. Every time G-Man and I went to Eureka Springs, I’d prowl the Christmas Store(s) and look for this statue. I found ornaments that copied it and a children’s book about it, but never the actual statue. 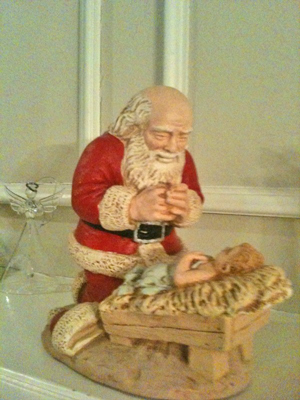 G-Man suggested I go online and order it, so I did a search for Kneeling Santa. Oh. My. Stars. Never do a search for a kneeling anything online. You’ll see things you never imagined and never ever wanted to. 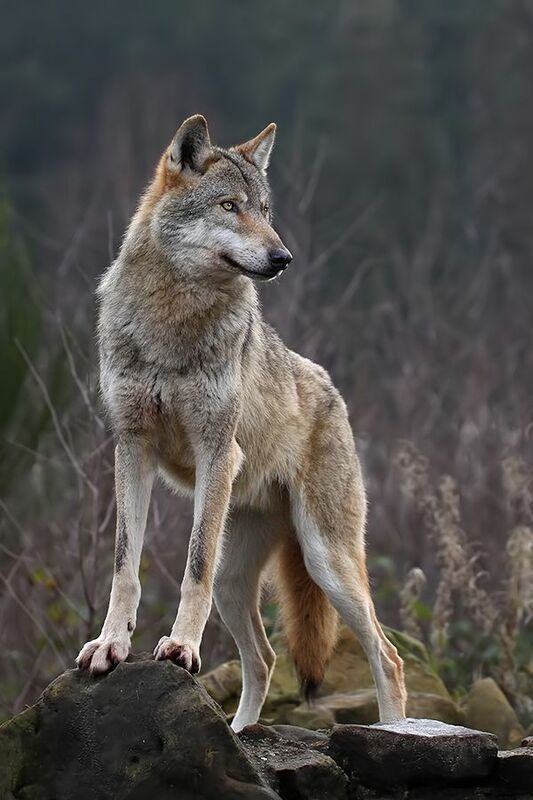 I snapped that puppy right up, and I’ve had my own SATM ever since. Sometimes he’s in the entryway and sometimes on the piano. 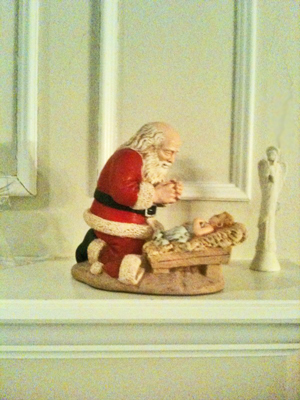 This year, it’s in the place of honor–on the fireplace mantle. In case you’re wondering, I believe SATM is made by Roman. 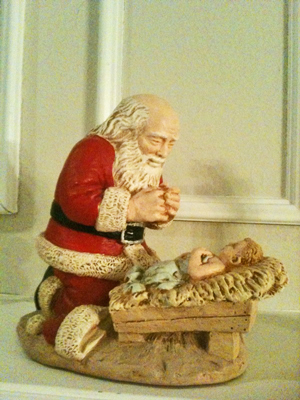 And historians out there–I know Santa couldn’t have knelt at the manger, since he came a few centuries after Jesus was born, but it’s the feeling that counts. Categories: Small World Christmas | Tags: Child Jesus, Christ Child, Christmas, God, Holiday, Jesus, Santa, Santa Claus, Shopping, St. Nick | Permalink.